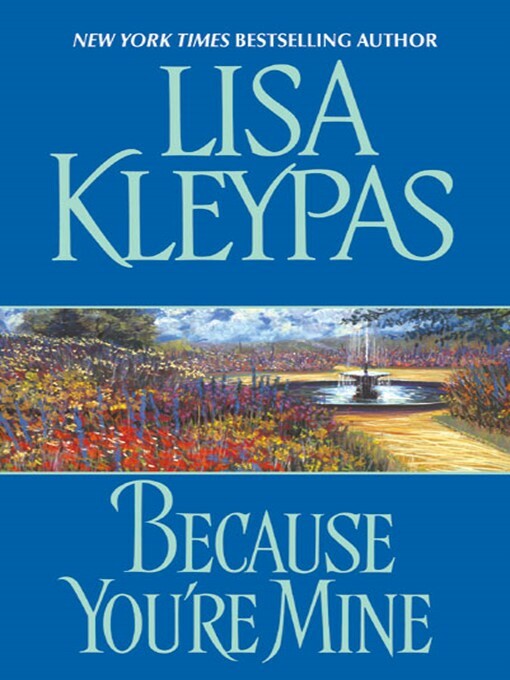 A classic historical romance novel from New York Times bestseller Lisa Kleypas ("One of today's leading lights in romantic fiction" —Seattle Times), Because You're Mine is a breathtaking tale of romantic intrigues and uncontained passions that showcases this acclaimed author at her very best. Returning to Regency Era London, Kleypas weaves a sensuous tale of a lovely intriguer's attempts to seduce a notorious seducer in order to save herself from an unwanted prearranged marriage—only to have true love complicate the affair. This is emotional, sensual, absolutely superb storytelling from a multiple RITA Award-winning historical romance superstar that any serious fan of top-quality love stories must not miss.